What is Ebola Virus Disease?? Ebola Virus Disease is a very serious illness which came from Africa. You can only catch Ebola through direct contact with bodily fluids of a person with the disease, people with Ebola do not become infectious until they have developed symptoms, such as a fever. Experts believe that it is very unlikely it will spread in the UK. Someone who is infected by Ebola will firstly develop a fever, a headache, joint and muscle pain, a sore throat and intense muscle weakness. The symptoms generally start between 2 and 21 days after becoming infected. After the initial symptoms, diarrhoea, vomiting, a rash, stomach pain, impaired kidney and liver function soon follow. This then causes the patient to bleed internally and they can also bleed from the mouth, ears, nose and eyes. 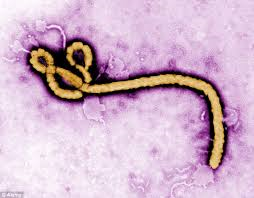 Ebola is fatal in 50 – 90% of cases. Therefore the sooner a person is given care, the more chance they have of surviving. There is currently no treatment or vaccine for Ebola, although the experts are working on new vaccines and drug therapies. A person diagnosed with Ebola Virus Disease will be placed in isolation in intensive care. Their blood oxygen levels and blood pressure are kept at the correct level and their organs are supported. If at any time you feel unwell after being in contact with anyone who has travelled from Liberia, Sierra Leone or Guinea, then you should stay at home and call 111 or 999 and explain your situation. When I read this story recently in a newspaper, I was shocked to the core. According to the paper, a 88 year old woman fell outside of a Doctor’s Surgery, banged her head and was lying unconscious on the street. When a passer-by found her, she understandably ran into the surgery to ask for help. The response she received shocked her as it would anyone. She was told the Dr on duty could not assist as he is not a First Aider. Now correct me if i’m wrong, but you would think that if anyone has a duty of care in their line of work, it would be a GP’s. To at least make sure they are trained in basic First Aid skills. The passer-by was given no help at all from the surgery, they wouldn’t supply a blanket for the poor lady or even call for an ambulance. The good Samaritan was told by the operator to have a defib on standby, which the surgery would not hand over. The poor lady is still in hospital a week later because of her injuries. There has been lots of stories in the paper about individuals who are responsible for children, older people who have been faced with First Aid emergencies and because they do not have the knowledge of what to do, it has ended in tragedy. Luckily in this instance, the time given by a kind passer-by has saved this ladies life. This tells us how important First Aid training is, all you need to do is give up 6 hours of your day to learn basic life saving skills, it could make a huge difference to someone’s life. Temperatures are expected to soar to 32 degrees tomorrow. (Maybe not in the North East, but it’s still going to be hot). We advise keeping yourself well hydrated with lots of cool drinks, also making sure you get plenty of fluid down your little ones, hat’s can come in handy to, as well as wearing loose cotton clothes to try and keep cool. Make sure you apply plenty of sun cream, a burn from this type of heat can be pretty nasty and painful. Be safe and enjoy the lovely sunshine, but remember to keep hydrated. 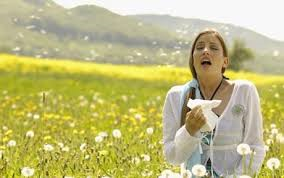 Since the warm weather has kicked in, my friends and family are going crazy with their hayfever. Many saying that it is the worst they have ever experienced. Why? What can we do to help ease the pain and annoyance of hay fever?? A fantastic juice company based in London believe that they have the answer. Their ‘Hayfever Aid’ combines natural anti-histamine and anti-inflammatory ingredients. The vitamin C rich drink can be made at home and is designed to relieve the most common symptoms of hayfever. The ingredients consist of pineapple, lemon, apple and ginger. The experts say if you drink this every morning and when needed your hayfever should improve. This is because the ingredients which are full of vitamin C ‘enhance the pollen levelling effects and minimise the immune systems response’. With hay fever affecting 1 in 5 people, you are not alone and it is only set to rise thanks to the pollution trapping pollen in our atmosphere. I hope this home remedy helps! What do you think is an important skill to learn in First Aid Training? How important do you think First Aid Training is? Did you know that your First Aid certificate was valid for 3 years? Normal body temperature is 37 degrees Celsius. A temperature above this is usually a fever caused by infection. It can also be heatstroke or heat exhaustion.